The Icon of the 70’s FIAT 124 Spider Lusso is celebrating a revival here in the U.S.
Also when the video is short, I had the chance today here at Alfa Romeo & FIAT of Tacoma, WA to eye-witness the delivery of the first couple new roadster also known as the 124 Spider. As you can see they just got dropped of at the #1 FIAT Studio, still dirty from the transporter drive up from the port in California. Yes, you read and heard right. For just $25,995 FIAT is making driving into the summer top-less affordable. Where else can you get a brand new 2-seater convertible with all the newest bells and whistles in technology, safety and convenience?! 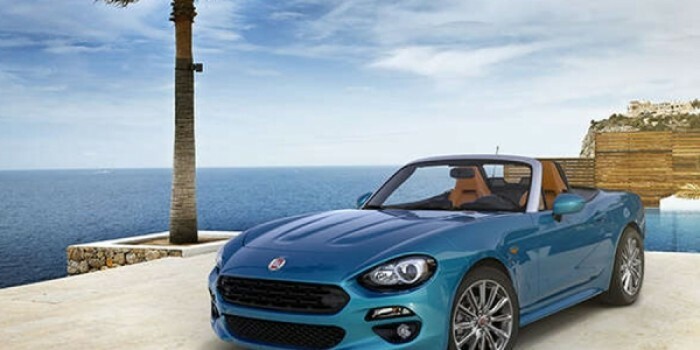 FIAT 124 Spider is the answer! For more information on this brand new roadster please check FIAT of Tacomas’ inventory out and which you’ll find here by clicking this link!